Computing Platform is a uniform base on which application and programs can be run and developed. There are some components which creates the Computing Platform. The idea behind Computing Platform is to provide the details of an application software and to the developer. 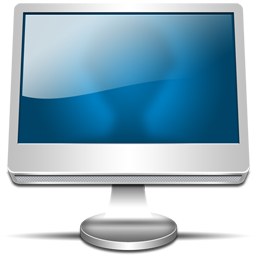 A platform is located between two components of a computer system. For the component which uses the platform, is not visible . Therefore, the same component has to be operated on a platform on various substrates. There are a variety of platforms and platform concepts in computer science field. These details may be unknown properties of the exemplary environment in which an application software to be used in the future those are not known at the time of development of the application. These characteristics of the execution environment such as the exact type and performance of its hardware components or what operating system the application will eventually can run by the user can be dictated. From this idea Computing Platform came. This simplification can be achieved by giving the application developer a more abstract functional models of specific functionality available in the form of a programming interface or API. So here the API and Computing Platform got related. Possible components of Computing Platform can be the computer architecture, programming language, libraries and runtime environments. In between any Computing Platform, the software and hardware platforms are different. For example a processor architecture platform provides a unified machine language, byte order etc. An example of such hardware Computing Platform is x86 architecture. Binary interface based computing platform is accessed via the binary interfaces of function libraries. For dynamically interpreted run-time environments, the application is abstracted from the hardware. Operating system itself can be shown as Computing Platform. This Article Has Been Shared 7471 Times! Performance of Computer follows the same physical definition – the amount of work done per unit of time and is colloquially synonymous with speed or quickness. Cite this article as: Abhishek Ghosh, "Computing Platform : Objectives and Types," in The Customize Windows, March 27, 2012, April 21, 2019, https://thecustomizewindows.com/2012/03/computing-platform-objectives-and-types/.